Heading back to school might sound like a daunting proposition to some kids, but what if this year your child could strut into class with the power of his favorite superhero backing him up? Well, we can't get Tony Stark to personally make an appearance (he's pretty busy), but we might have the next best thing. Tony Stark levels of confidence! 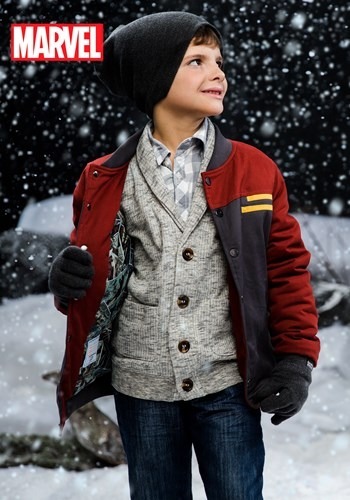 Introducing our specially designed secret identity Iron Man jacket for kids. We've teamed up with Marvel Entertainment to bring comic book style to the coat rack, in both a stylish and entirely understated way. 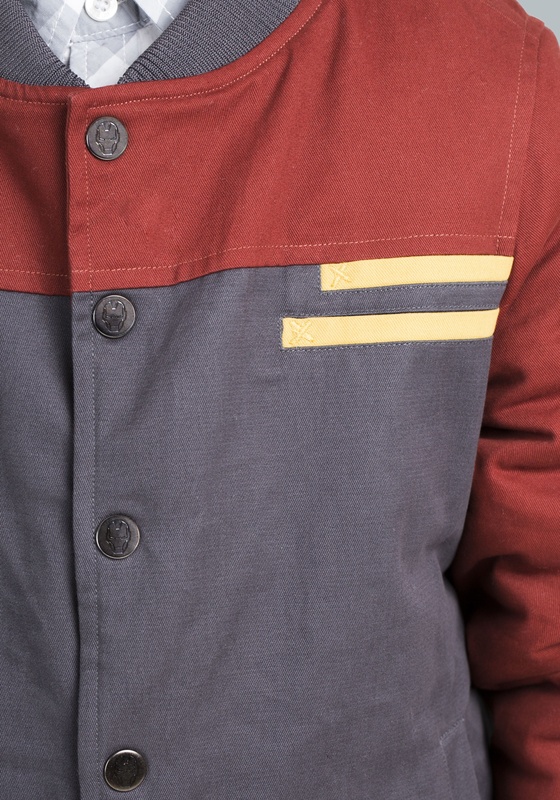 Featuring two crisp yet subdued colors on a cotton twill canvas exterior, the rust red and dark gray panels are directly inspired by the iconic suit made famous by Stark Industries. 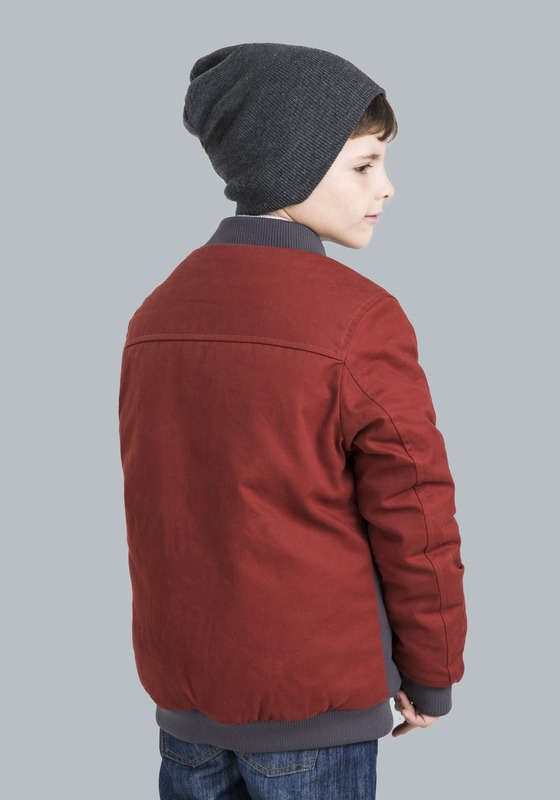 The classic bomber jacket styling features rib knit cuffs, collar and waist. A sturdy exterior and warm mid-weight synthetic insulation make it ready to tackle the challenge posed by any inclement conditions. But it's the interior that really makes this jacket stand out. 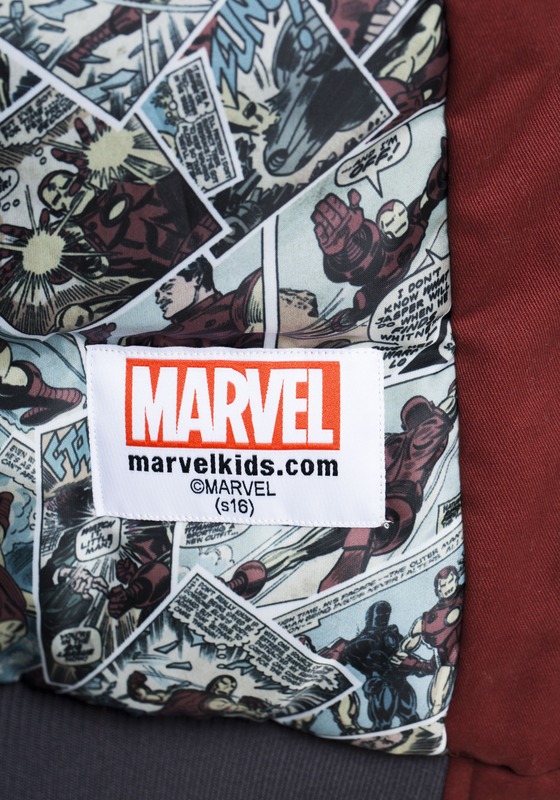 With a detailed lining that features an all over collage print of vintage Iron Man comic book panels, he'll have his favorite hero tucked comfortably inside his coat to make him feel like he's got an Avenger with him wherever he goes. He can keep his Iron Man fandom on the down low when he buttons up the coat, but when class adjourns and he shows off the interior to his friends, they're sure to be impressed with his supreme superhero style. 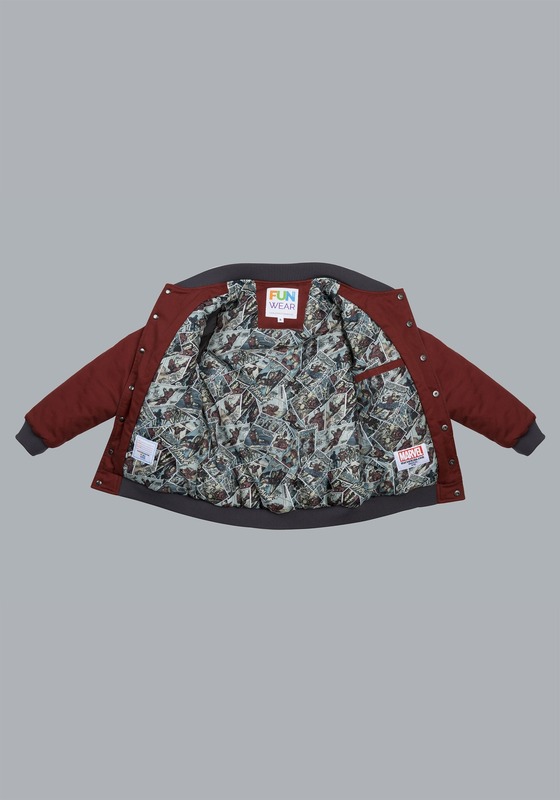 With the comic print lining and signature logo debossed buttons, we're sure he'll have the confidence to tackle any challenge that may present itself, be it an arch rival villain, or just having to brave the elements to get to first period on time. 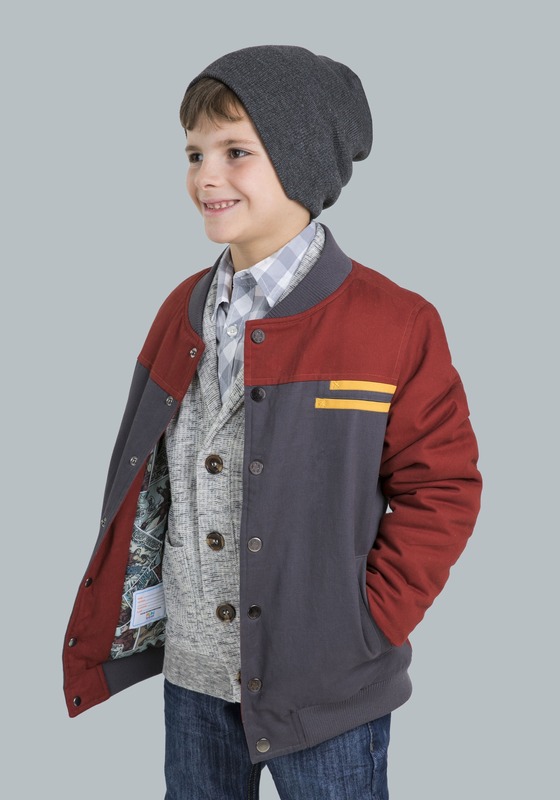 Coordinate this jacket with his favorite hoodie for a fall and winter look that would make Tony Stark proud!